"Since 1992, Powers Winery has selected grapes from some of the finest vineyards in Washington State's Columbia Valley. 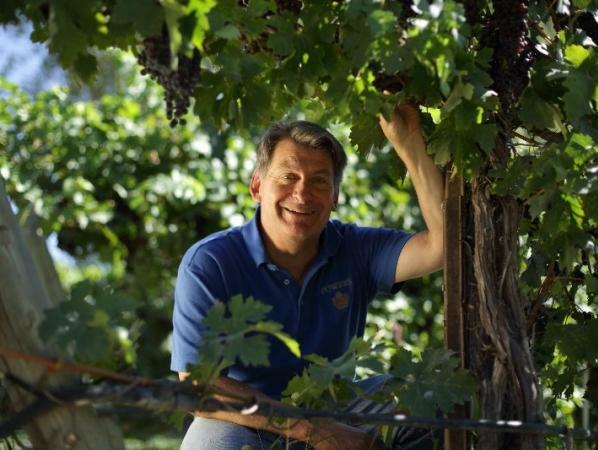 Winemaker Greg Powers oversees these grapes from vine to bottle, producing wines of character and distinction. Powers wines have been recognized by such notables as the Wine Spectator, which has referred to the winery as a "rising star", and recently Wine Enthusiast named Powers Winery as one of the "50 Great U.S. Cabernet Producers." Columbia Valley, Washington State's finest viticultural area, is well suited for world-class vinifera grapes, with weeks of 85-95 degree Fahrenheit daytime temperatures during the summer, and winters cold enough to eliminate vineyard pests. The average annual rainfall of less than eight inches, combined with deep, well-drained volcanic soil, allows for precisely controlled application of water through irrigation." "Diverse layered aromatics of black cherry, blackberries, and cassis lead into a touch of cedar and sage on the nose. With dense flavors of cassis, cherry, and cocoa that linger on the complex palate, this wine has lush dusty tannins that are balanced by a nice touch of oak and spice on the finish.